How exactly are students, faculty and staff using your college’s print environments? For most institutions, the answer is unclear. But if you want to implement changes—increase efficiency, reduce environmental impact, or decrease your costs, for example—you’ll need solid data to help you make decisions. 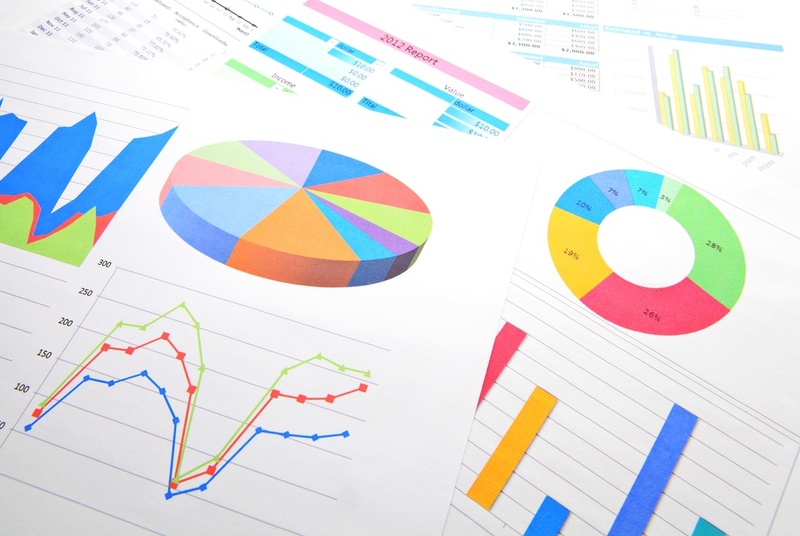 Here are five eye-opening printer metrics every college should be tracking. Knowing this information will help you identify areas of improvement for your print environment and determine the strategies, equipment and software that will have the biggest impact. If you have a fleet of printers for student and faculty use, but aren’t sure how much it actually cost to run each of those printers, you could be making an expensive mistake. Cost is one of the most basic printing metrics your college should be tracking. Take into account maintenance, paper, ink, toner, and even electricity to gain a complete understanding of how much money your college spends on printers. Many colleges and universities find, once they begin tracking printing costs, that they actually spend much more than they thought on printing each month. Once you have a firm understanding of the cost requirements for each printer, you can create a plan for reducing those costs. Have you pinpointed the average number of print jobs or pages that come through your printers on a given day? Those numbers are important to know, but take it a step further by tracking the job types as well. Keeping track of job types gives you significant insight into the printing habits of students and staff members. Monitor factors such as paper size, number of pages, single or double-sided, and black and white or grayscale to form a complete picture of how a particular printer is most often used. Using these metrics, you can then set up restrictions to create better printing practices, such as a rule that all jobs over 100 pages must be printed double-sided. Certain departments at your college probably need to print more than others. When you track printer usage by department, you can determine how to manage printing policies more effectively and tailor certain policies to specific departments. For instance, maybe the Science and Engineering Department is doing fine, but the English Department needs to be reminded not to run jobs over 500 pages on their desktop machines! Once you begin tracking printer use by department, you also create chances to implement increased productivity measures. For instance, when looking at the data, you may discover that the faculty needs improved content management tools and strategies to do their jobs more efficiently. Tracking printing habits can help you identify these gaps in workflow efficiency and highlight areas for improvement. Did you know that you can track printer usage by individuals as well as departments? By assigning each user a number, you can pinpoint how many resources a particular person is using. Why would your college want to track this? It’s not to reprimand or “call out” individuals. Use the information to identify whether the same few people are using a larger-than-average share of printer resources. This will help you make decisions about which print management strategies you may want to implement. For example, with the pay-for-print strategy, you can pass the printing costs to the largest print users. Having a record of that kind of trackable information will help greatly when it comes time to make decisions. If yours is like most other colleges and universities today, you have an ongoing green initiative to help reduce your organization’s environmental impact. You may be going after big projects such as LEED-certified buildings and solar arrays, but your print environments are seriously overlooked areas for “quick wins” when it comes to green initiatives. Tracking the environmental impact of your printing not only helps create goals and benchmarks for green initiatives, but it can also positively influence users’ behavior. You can display statistics such as trees, carbon, and energy used whenever a user creates a print job, which can influence how they ultimately decide to print the document (for example, changing their job to double-sided when they were originally going to print simplex). Environmental impact is a fun statistic to share with departments or even the whole school, because when you collectively reduce your impact, everyone can celebrate! It’s simpler than you think to get control of your college’s print environments. Find out exactly how much you spend on printing, how people are using the school’s printers, and which policies you can implement to save costs and reduce environmental impact. Learn more about how print management software can help your college track these eye-opening printer metrics. 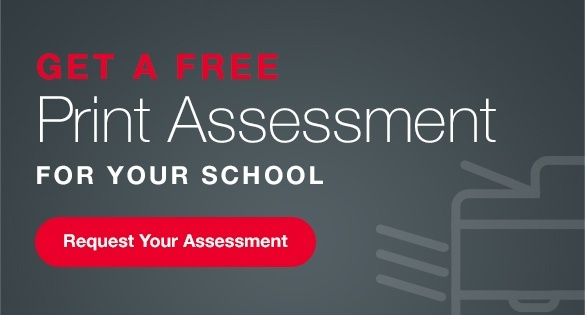 Request a print assessment today!